The recent data shows slender improvements in the nation and the state’s foreclosure rates this past month. 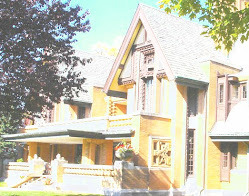 After an abysmal May where Illinois foreclosures increased by an astounding 29%, the June report is a trickle of relief. Yet, to affirm that this housing crisis is over or that the country’s foreclosure quandary has been solved is gravely wrong. Our Oak Park and River Forest foreclosure lawyers know that these positive trends are a breath of fresh air, but by no means is the US or Illinois out of hot water. Following the previous month’s egregious results, June provided roughly a 4% and 8.5% decrease in foreclosure rates for the country and Illinois respectively. The state garnered a total of 14,938 foreclosures; to note, this statistic includes default notices, auction-sale notices, and bank repossessions. These encouraging figures from the source RealtyTrac unfortunately do not narrate the whole tale. Compared to April, these June foreclosure numbers are still an 18% increase in Illinois. Foreclosures occurred in one in three hundred fifty households on average for June in the state; these first half numbers are a 22% increase compared to last year. In fact, Illinois, as it was in May, is still ranked fifth worst in the country regarding foreclosure activity. Therefore, this progress is not substantial, nor can be concluded as sign of triumph. Whether this positive result for June, albeit marginal, will be indication of a greater progress to come is to be determined. But for certainty, Chicagoland, Illinois, and the nation still remain in discordant flux of rapid foreclosures. There is much recourse if you, as a local resident, happen to receive notices of a foreclosure. Yet, simply doing nothing is the least advisable course of action. 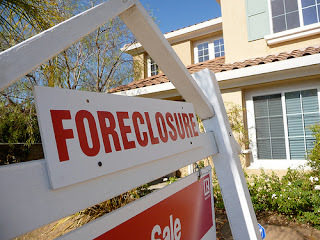 An Illinois foreclosure defense lawyer can provide you the tools and knowledge to manage this calamity. Our attorneys can review your case and illustrate how potential options like a loan modification, a short sale, or enacting your equitable right of redemption may be suitable in your situation. It is crucial that you fully understand the long-term repercussions of your foreclosure future. Consulting with an experienced attorney is a primary step in managing this predicament. You do not have to and should not face bank negotiations alone. Please, contact one of our accomplished attorneys today and let us help you navigate through this difficult process. Thank you for sharing your article. Any foreclosure order should not be treat as a simple order. You should get services from Chicago Foreclosure Defense to help you get through this and be of help. In managing foreclosure troubles, the foreclosure attorneys can be your heroes. Consulting with skilled and professional attorneys can be a solution to this problem. You just have to wise in choosing your lead brokers for this foreclosure transaction. For sure, they do know how things should roll between you, that bank and the buyer. To keep foreclosures away from your life, it is best to study carefully a loan you will be entering like a refinance rates in massachusetts for example. This is to give you a stress-free life. Just a piece of advice, before entering and engaging to any home loans it's always better to consult and seek out some professional advises from a mortgage broker penrith or in anywhere place you are. With this, at least, you are somewhat informed about the transactions and deals you're going into, also it'll avoid you from entering to any suspicious or doubtful deals. This blog is published by the Emerson Law Firm, LLC. It is a community resource that shares news and legal discussions related to mortgage foreclosure, real estate, and bankruptcy issues in the Chicagoland area. How Long Will Your Foreclosure Take? Emerson Law Firm, LLC. Watermark theme. Powered by Blogger.